Working in small spaces doesn’t mean you don’t need big performance. 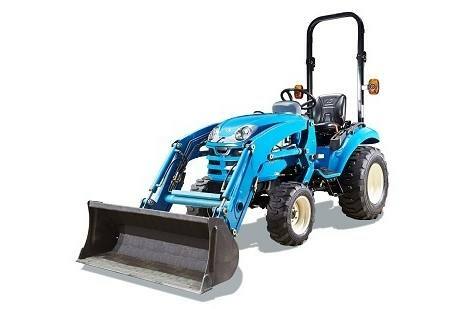 The XJ2025 delivers superb agility and superior performance in a small chassis 4WD compact tractor. Advanced engine technology delivers the horsepower you need while reducing noise, vibrations and emissions. The 6 forward X 2 reverse gears allow easy selection of optimum operating speed. And work quicker and more efficiently because you can carry heavier loads with more 3-point hitch lift capacity and loader lift capacity than similar sized competitive models.